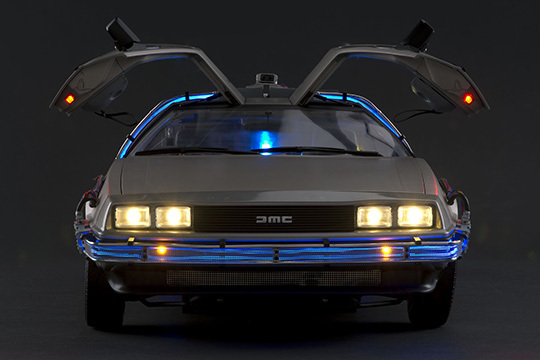 The first DeLorean DMC-12, rolled off the production line on this date in 1981. The first prototype appeared in October 1976, but production officially began in 1981 in Dunmurry, a suburb of southwest Belfast. 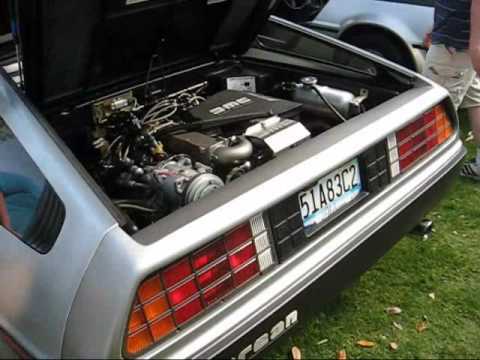 The DMC-12 is now known commonly as simply “the DeLorean” because it was the only model ever produced by the company, although there were a few options available on the standard model, and several changes were made over the course of production. The DeLorean is a sports car manufactured by John DeLorean’s DeLorean Motor Company for the American market from 1981 to 1983. The car features gull-wing doors and an innovative fiberglass body structure with a steel backbone chassis, along with external brushed stainless-steel body panels. 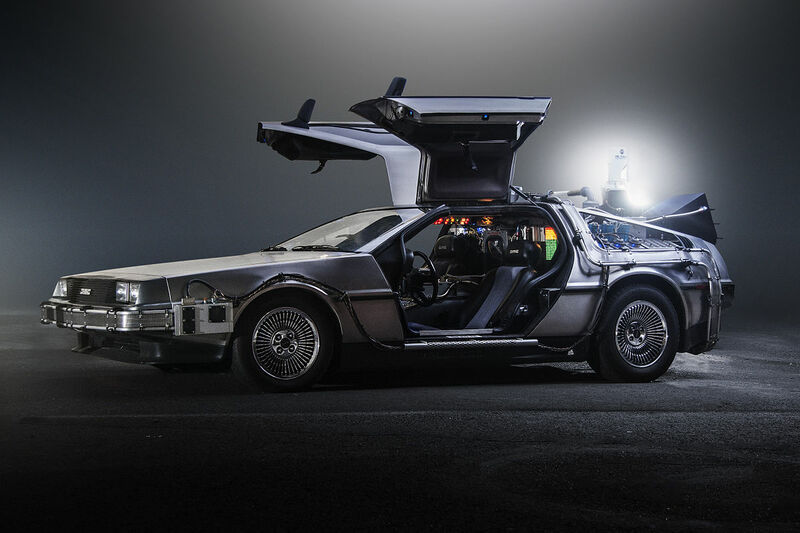 It became widely known and iconic for its appearance, and a modified DMC-12 was immortalized as the DeLorean time machine in the Back to the Future media franchise. Over the course of production, several features of the car were changed, such as the hood style, wheels, and interior. About 9000 DMC-12s were made before production halted in early 1983. Stephen Wynne a British entrepreneur from Liverpool created a separate company in 1995 based in Texas using the “DeLorean Motor Company” name. Wynne acquired the trademark on the stylized “DMC” logo shortly thereafter, along with the remaining parts inventory of the original DeLorean Motor Company. The company builds new cars at its suburban Humble, Texas location from new old stock (NOS) parts, original equipment manufacturer (OEM), and reproduction parts on a “made to order” basis using existing vehicle identification number (VIN) plates. In October 1976, the first prototype DeLorean DMC-12 was completed by American automotive chief engineer William T. Collins, formerly chief engineer at Pontiac. Originally, the car was intended to have a centrally-mounted Wankel rotary engine. The engine selection was reconsidered when Comotor production ended, and the favored engine became Ford’s “Cologne V6”. Eventually the French/Swedish PRV (Peugeot-Renault-Volvo) fuel-injected V6 was selected. Also the engine location moved from the mid-engined location in the prototype to a rear-engined installation in the production car. The chassis was initially planned to be produced from a new and untested manufacturing technology known as elastic reservoir moulding (ERM), which would lighten the car while presumably lowering its production costs. This new technology, for which DeLorean had purchased patent rights, was eventually found to be unsuitable. These and other changes to the original concept led to considerable schedule pressures. The entire car was deemed to require almost complete re-engineering, which was turned over to engineer Colin Chapman, founder and owner of Lotus Cars. Chapman replaced most of the unproven material and manufacturing techniques with those then employed by Lotus, like the steel backbone chassis. DeLorean required $175 million to develop and build the motor company. 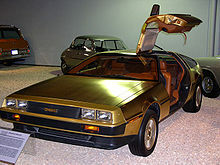 After convincing Hollywood celebrities such as Johnny Carson and Sammy Davis, Jr. to invest in the firm, DeLorean eventually built the DMC-12 in a factory in Dunmurry, a neighborhood a few miles from Belfast city center. The company had originally intended to build the factory in Puerto Rico, but changed its plans when the Northern Ireland Development Agency offered £100 million towards it, despite an assessment by consultants hired by the NIDA that the business had only a 1-in-10 chance of success. Construction on the factory began in October 1978, and although production of the DMC-12 was scheduled to start in 1979, engineering problems and budget overruns delayed production until early 1981. By that time, the unemployment rate was high in Northern Ireland, and local residents lined up to apply for jobs at the factory. The DeLorean Motor Company went bankrupt in late 1982 following John DeLorean’s arrest in October of that year on drug-trafficking charges. He was later found not guilty, but it was too late for the DMC-12 to remain in production. Approximately 100 partially assembled DMCs on the production line were completed by Consolidated International (now known as Big Lots). The remaining parts from the factory stock, the parts from the US Warranty Parts Center, as well as parts from the original suppliers that had not yet been delivered to the factory were all shipped to Columbus, Ohio in 1983–1984. A company called KAPAC sold these parts to retail and wholesale customers by mail order. 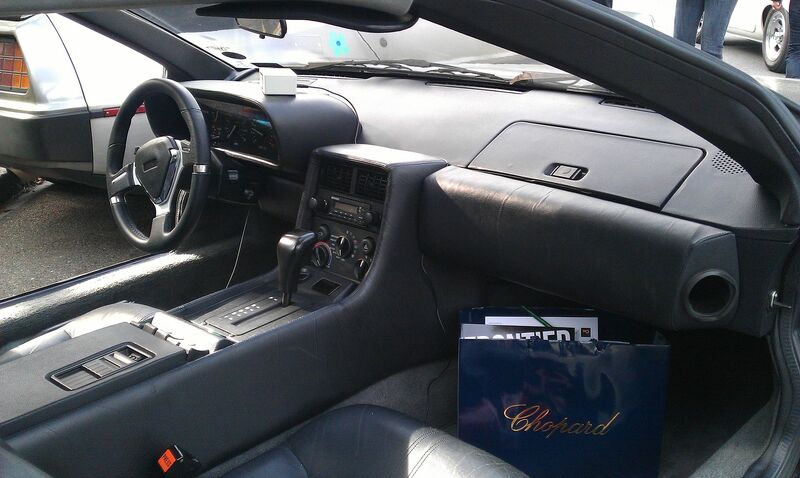 In 1997, DeLorean Motor Company of Texas acquired this inventory. There had also been a long-standing rumor that the body stamping dies were dumped into the ocean to prevent later manufacture. Evidence later emerged that the dies were used as anchors for nets at a fish farm in Ards Bay, Connemara. The DMC-12 features a number of unusual construction details, including gull-wing doors, unpainted stainless-steel body panels, and a rear-mounted engine. The body design of the DMC-12 was a product of Giorgetto Giugiaro of Ital Design and is panelled in brushed SS304 stainless steel. Except for three cars plated in 24-carat gold, all DMC-12s left the factory uncovered by paint or clearcoat. Painted DeLoreans do exist, although these were all painted after the cars were purchased from the factory. Several hundred DMCs were produced without stainless panels, for training workers, and are referred to as “black cars” or “mules”, in reference to their black fiberglass panels instead of stainless, though these were never marketed. Small scratches in the stainless-steel body panels can be removed with a non-metallic scouring pad (since metal pads can leave iron particles embedded in the stainless steel, which can give the appearance of the stainless “rusting”), or even sandpaper. The stainless-steel panels are fixed to a fiberglass underbody. 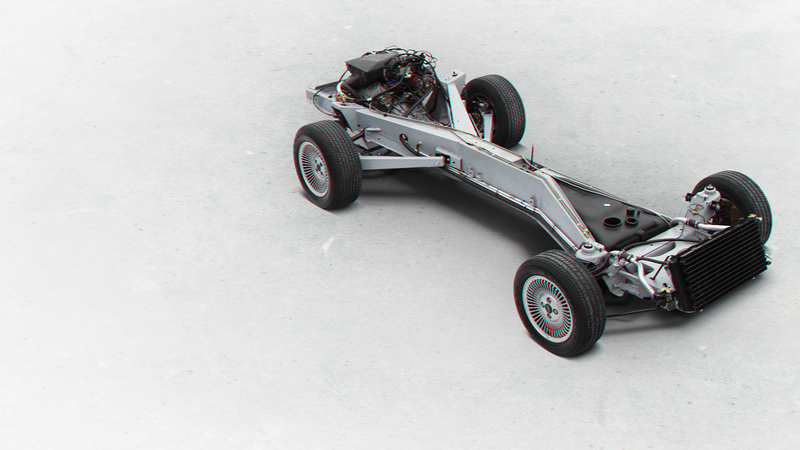 The underbody is affixed to a steel double-Y frame chassis, derived from the Lotus Esprit platform. The unpainted stainless body creates challenges during restoration of the cars. In traditional automotive body repair, the panel is repaired to be as original (“straight”) as possible, and imperfections are sculpted back to form with body filler like Bondo or lead (body solder). This poses no problem (aside from originality) with most cars, as the filler will be hidden by the car’s paint (for example, most new cars have filler hiding the seam where the roof meets the quarter panel). With an unpainted stainless body, the stainless steel must be reworked to exactly the original shape, contour, and grain, which is a tremendously difficult job on regular steel (a dented or bent panel is stretched, and a shrinking hammer or other techniques must be used to unstretch the metal) and even more difficult with stainless due to its tendency to work-harden. Furthermore, it is exceedingly difficult to paint stainless steel due to difficulties with paint adhesion. 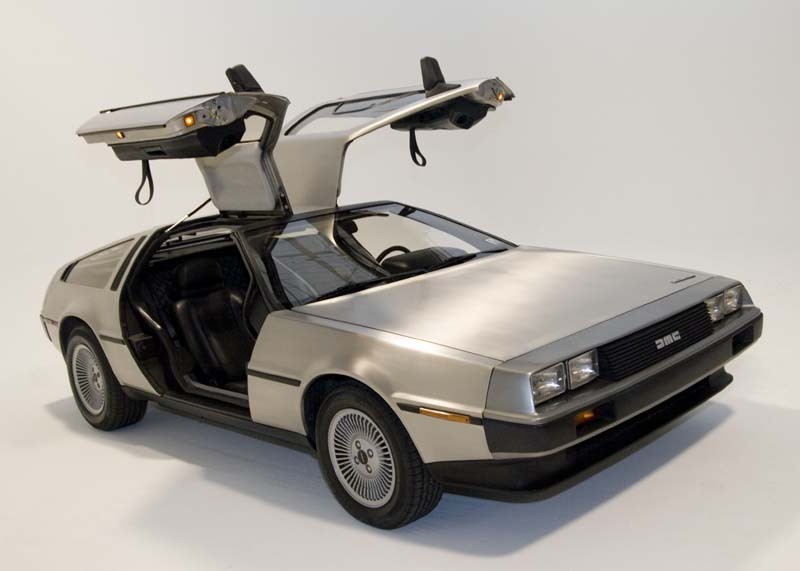 DeLorean envisioned that damaged panels would simply be replaced rather than repaired; each DeLorean service center today has at least one experienced body-repair person on staff, and there are decades worth of new stainless panels still available in most instances. Another unusual feature of the DMC-12 is its gull-wing doors. The common problem of supporting the weight of gull-wing doors was solved by other manufacturers with lightweight doors in the Mercedes-Benz 300SL and a hydraulic pump in the Bricklin SV-1, although these designs had structural or convenience disadvantages. The DMC-12 features heavy doors supported by cryogenically preset torsion bars and gas-charged struts. These torsion bars were developed by Grumman Aerospace (and built by Unbrako in the UK, a division of SPS Technologies of Jenkintown, PA) to withstand the stresses of supporting the doors. A popular misconception of the DMC-12’s gull-wing doors is that they require far more side clearance to open relative to ordinary side-hinge doors, such as when parked in a parking lot. In fact, the opposite is true: the DMC-12 requires far less clearance than side-hinge doors, and this can be physically demonstrated. This misconception of side clearance may stem from a misunderstood location of the hinge point of the doors by persons unfamiliar with DMC-12s. These doors, when opening, only require 11 inches (28 cm) clearance outside the line of the car, making opening and closing the doors in crowded spaces relatively easy. Much like the doors fitted to the Lamborghini Countach, the DMC-12 doors featured small cutout windows, because full-sized windows would not be fully retractable within the short door panels. Additionally, the doors featured red and amber “safety” lights around the perimeter. These lights illuminate when the door is open and can be seen from the front, rear or side of the vehicle at night or in low-light situations. The engine is a Peugeot-Renault-Volvo (PRV) 2.85-litre V6, which produces about 130 hp, designed and built under special contract with the DMC Company. These PRV engines were a development of the 2.7-litre V6 in the Renault 30 and were built in the PRV Factory in Douvrin in northern France. The gearbox, also designed by PRV, was built at the Renault facility near Caen in Normandy. The engines and gearboxes were shipped weekly by sea from the PRV factories to the DMC factory. DeLorean’s comparison literature noted that the DMC-12 could achieve 0–60 miles per hour (0–97 km/h) in 8.8 seconds, when equipped with a manual transmission. When equipped with an automatic transmission, the DeLorean would accelerate from 0 to 60 miles per hour (0 to 97 km/h) in 10.5 seconds as tested by Road & Track magazine. The car’s top speed is 110 miles per hour (177 km/h). It would not be proper to post about the DeLorean without at least one clip from Back to the Future. Here’s its first trial as a time machine. You’ll note the reference to the stainless steel body. I sometimes get a bit flummoxed coming up with recipes for anniversaries having to do with technology, and the DeLorean is further complicated by the fact that it was built in Northern Ireland for the US market, with references to 1950s Californian suburbia in Back to the Future. 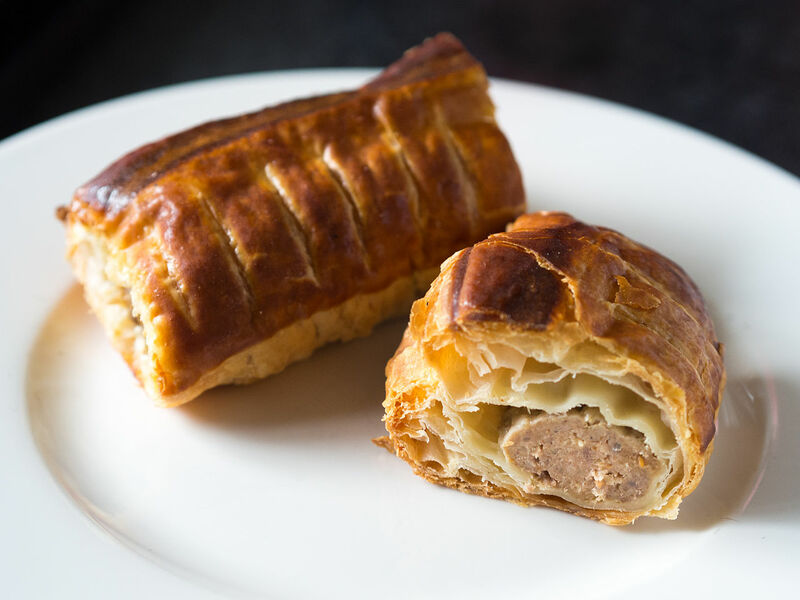 By a circuitous route I’ve decided to focus on sausage rolls (Anglo-Irish) and pigs in blankets (1950s US diner snacks) – that is, what happens to something produced in Ireland when it crosses the Atlantic. Sausage rolls are still very popular in the UK, especially at this time of year. For the Irish version, make logs of spicy pork sausage meat, wrap them in puff pastry and bake. When I suggested making them for Christmas in 1975 when I first arrived in the US, my wife said that I must mean pigs in blankets. I was confused because in England pigs in blankets are chipolatas wrapped in bacon and fried. I discovered that US pigs in blankets are clearly a cousin of sausage rolls, but can be quite different. 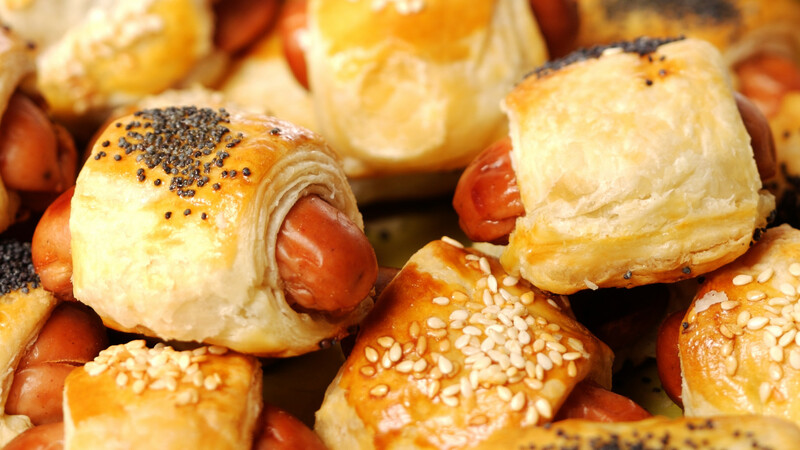 1950s-style pigs in blankets, common in diners, have Vienna sausage in the center and can be wrapped in pastry, but more commonly in biscuit dough.